On Saturday, I went out with Camille to Canaveral National Seashore again, in hopes of getting more pelagic (oceanic/marine) birds, but the combination of weather and circumstance that had hundreds of scoters, gannets, and other off-shore birds coming south along the beach was gone, and very few birds could be seen. We did make good use of the day to do Blackpoint Wildlife Drive, which was closed when we attempted it last weekend. It seems the ducks are finally arriving, though most of them stayed well away from the roadway. I made pretty good use of an entry-level spotting scope that was generously given to me over the summer. With it we were able to identify far-off Canvasbacks, Redheads, and Northern Pintails. Blue-winged Teals. Some of the huge clouds of incoming ducks we saw all morning were probably teals, although I am sure some were wigeons. 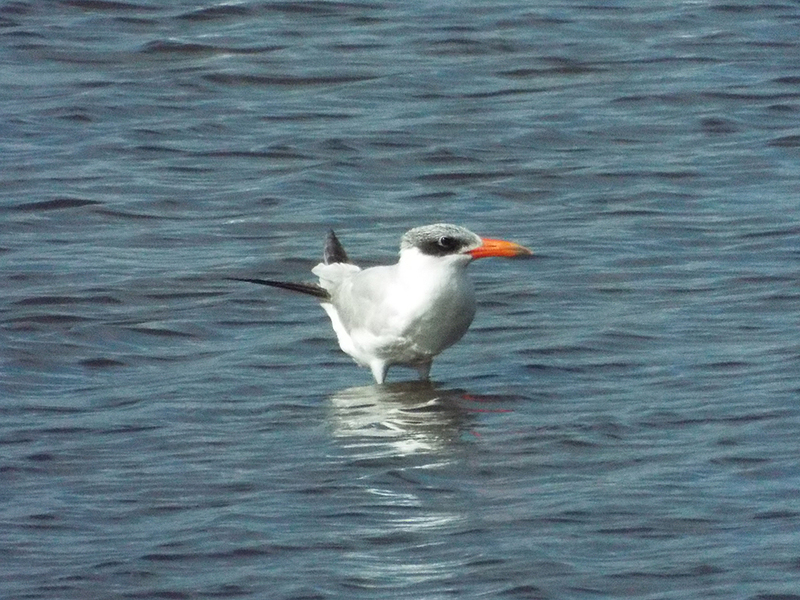 This Caspian Tern stood apart from the larger flock nearby. 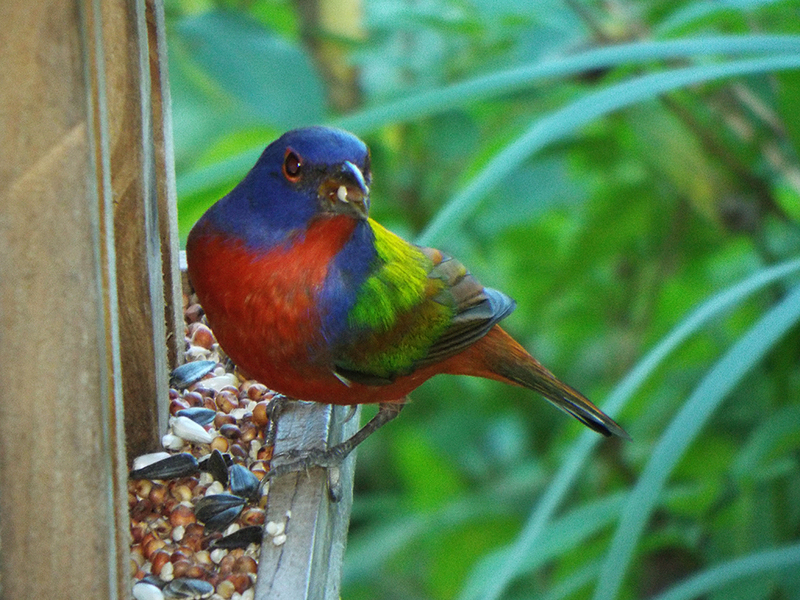 One of two Painted Buntings making use of the Visitor Center’s feeder. 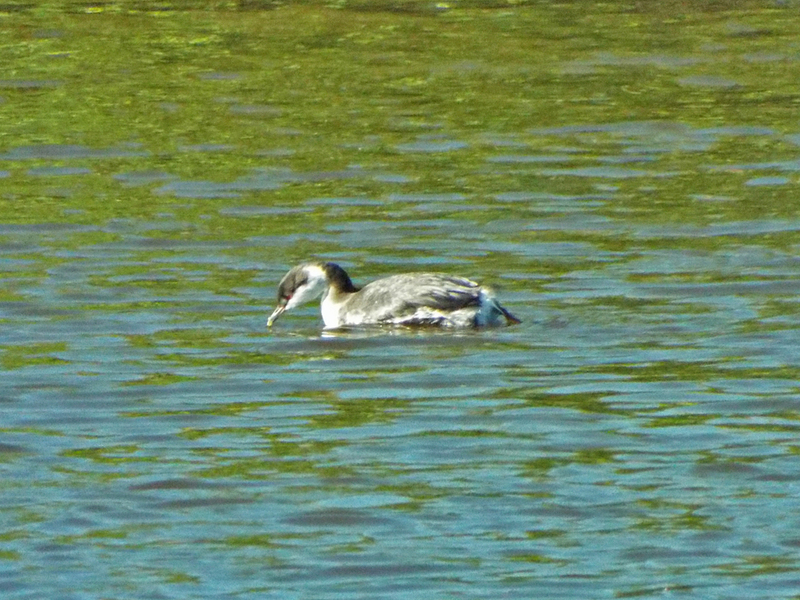 We ended the adventure with a sighting of 3 Buffleheads. They appeared to be either 1st winter males or females, but it was a nice bonus! It was nice to see the duck activity increase, and hopefully we’ll have the usual numbers of scaups, Ring-necked Ducks and Northern Pintails keeping us company until spring! 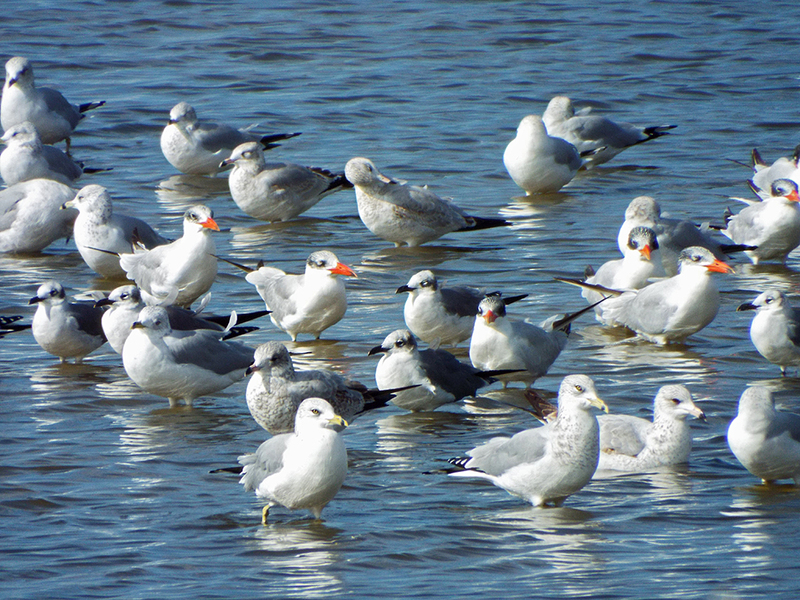 Posted on 2015 November 30 2015 December 1 by Lonely BirderPosted in BirdingTagged Birding, birds, birdwatching, Canaveral National Seashore, Merritt Island National Wildlife Refuge, Playalinda Beach.